Starting from Poulithra, a narrow winding road climbs towards the villages of the Tsakonian plateau. 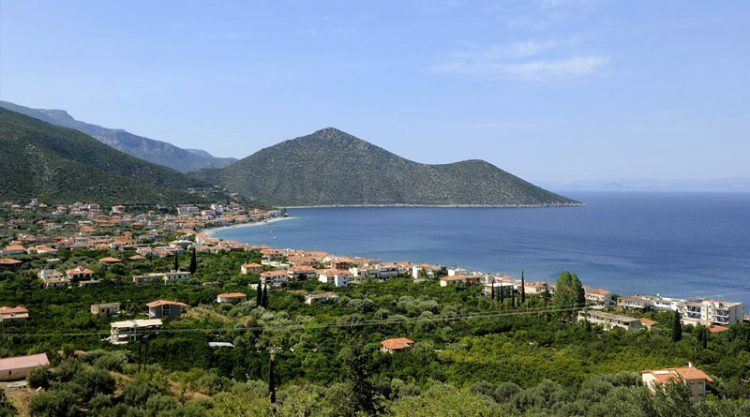 It is worth searching for the areas of Peleta, Amigdalia, Kounoupia in the mountains or going down from the village of Pigadi to the impressive Fokianou Bay, with its bright white shingle, which lies hidden in the sea area between Leonidio and Kiparisi. A village on the southeast side of Mount Parnon. It is an independent community, the only one in Arcadia, at a height of 1,100 metres. The cool Aghion Anarghiron Square is ideal for those who want to have a coffee or stop off for a meal. It is worth strolling along its streets to see the old two- and three-storey mansions built between 1840 and 1910 by local and Italian artisans, in which Western influences coexist with local folk elements. It is the capital of the Province of Kynouria with a population of about 3,500. Leonidio is built at the foot of steep rocks and is crossed by the Dafnonas Stream. It is about 2 km away from Plaka, its seaport. A fishing village and coastal-shipping port. It was named after the little Church of St Leonidas, which was mentioned in a golden bull issued by Andronicus Comnenus in 1292. It was originally called Leonidi and later Leonidion. The little port of Plaka is the seaport of Leonidio. It maintains its colour and fishing atmosphere intact. You are recommended to have a meal or stay there. From Cape Pelias which is a little to the north of the seaside village of Lakos to the little port of Plaka, there is a wide beach with coarse sand and shingle that stretches for 3 kilometres. 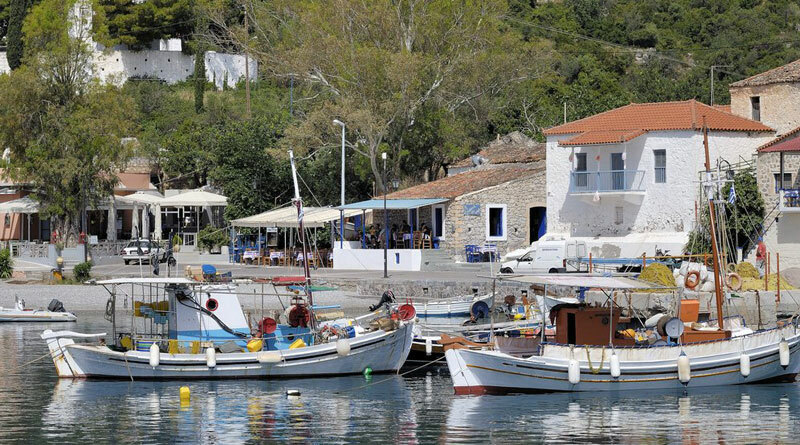 To the south of Plaka starts a rocky but gentle shore that is suitable for underwater fishing. If you are looking for lonesome gulfs, there are beautiful beaches hidden in the steep shores a little to the north of Sambatiki. You will have to search around before you discover them, though. A beautiful and quiet seaside village named after the ancient worship of Apollo Tyritas. The welcoming sign reads 'me to kalo na molete ta hora namou', which means 'welcome to our place' in the Tsakonian dialect. 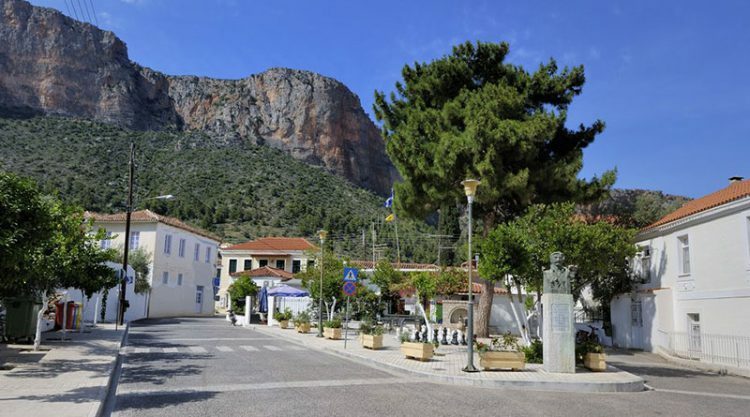 It is the capital of the Municipality of Vorias Kynourias, one of the largest in Greece. Its first name was Asti that was changed to Astri and then Astros. A beautiful provincial town with new and old buildings and a few listed ones. There is a clear tendency to traditional architecture in the town and its environs. A little outside Astros is the rich wetland of Moustos, a small lagoon. A natural breeding ground for fish and a shelter for aquatic birds during the winter months. 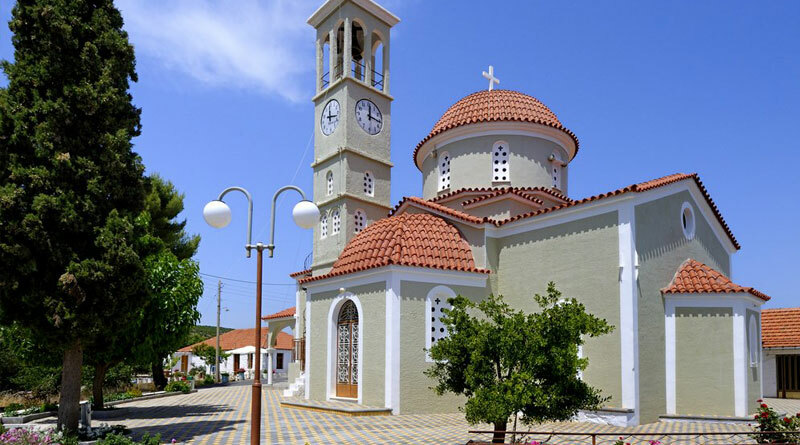 At a distance of 15 km from Leonidio (on the way to Kosmas) is the renowned Monastery of Panagia Elona. Every year, visitors from all over Greece flock there (especially on 15 August) to worship the miraculous icon of Panagia (Mother Mary) as well as admire the strength of human nature that led the monastery to be built on the steep rock where the icon of Panagia Vrefokratousa (Madonna holding the Infant) had been found. The view from the monastery is really breathtaking. The Monastery of St Nikolaos Sintzas is another place of worship in the area that is worth visiting. It is situated at a height of 500 metres, literally 'buried' in a cave. It acquired its name Sintzas from a fig tree that was in the cave (a ‘sintza’ is a fig tree in the Tsakonian dialect). 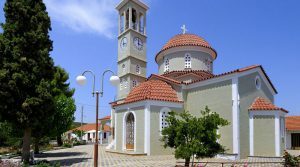 The little Church of St Leonidas next to the sea (in Plaka) is equally picturesque.